Any smart organization should strive for a defense-in-depth approach that controls application deployment in conjunction with malware clean-up and automated patch management. This ensures that machines are configured securely, and that whitelists are properly and constantly updated. 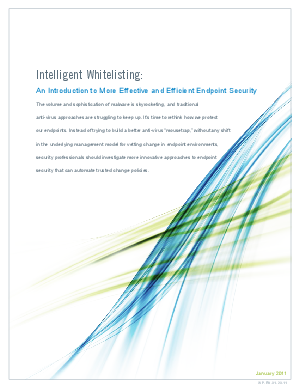 Download this white paper to learn how you can balance usability with security, increasing end user productivity without adding IT administrative burden.